Away from the permutations of Brexit negotiations, ongoing leadership jostling and racism rows a less discussed debate continues a lot closer to home: the future of local government finances. As English councils strive to balance their yearly budgets, keep reserves stocked and plan future savings any service that can be cut is at risk. It has meant fewer bin collections, fewer libraries and - come the next Beast from the East - fewer roads that will be gritted. Instead, legal obligations dictate councils must fund certain aspects of adult social care and children's services - both of which are in high demand and very expensive. Nationally, the overall financial picture is stark. The Local Government Association, the umbrella body for all councils, says by 2020 councils will have faced a reduction of core funding since 2010 of nearly £16bn - a loss of 60p in every £1. A recent survey by the Local Government Information Unit (LGIU) suggested 95% of local authorities planned to increase council tax this financial year and two thirds have dipped into their reserves. While, on Children's Services alone, BBC figures revealed a £640m overspend last year. The Department for Housing, Community and Local Government says £90.7bn will be provided to councils over the next two years, on top of giving them the power to earn extra through retaining an increased share of business rates. But Labour say budgets are "stretched to breaking point," with urgent sustainable funding immediately needed or councils will collapse. 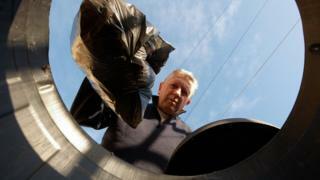 So which councils are under financial strain? The council made national headlines after it issued a rare Section 114 notice - its second in a year - which effectively bans all new spending. It was part of an effort to save £60-70m during this financial year. With services set to be stripped back to the bare minimum, there is concern among campaigners that vital facilities will face the axe. But council leader Matthew Golby says nobody will be put in danger. Councillors have since voted to abolish the council entirely, replacing the county and seven district councils with two new unitary authorities from 2020 as it tries to get a grip on its financial future. On Monday evening, the council announced £13m worth of extra cuts and the loss of up to 130 jobs as it seeks to tackle an £11.4m overspend that came predominately in children's services. The 70 savings proposals, due to be voted on next week, include a reduced road gritting service, suspension of a town centre and hospital park and ride and a reduction in youth services. The council leader says Somerset is at the "very sharp end" of continued austerity. East Sussex has the one of the oldest populations in the UK, meaning social care pressures in the region are particularly acute. With demand increasing, in July the council announced a "core offer" to residents to meet its legal duties after a report forecast further required savings of up to £46m by 2021/22. Short of specifics, the contents of this offer are due to be published soon. The council spent nearly £177m of its reserves to balance its budget in the last two years which "masked the council's true position", according to a July report by independent auditors. Though the council is not in immediate danger it may miss its savings target of over £100m by 2021/22. It too, like many other councils, has been over reliant on reserves in recent years. As a result the council's financial position is "at a tipping point", according to its auditors. The report predicts "difficult decisions ahead" for the council as it endeavours to save £135m by 2022. A quarterly analysis revealed this council is set for a £8.6m overspend in 2018/19 - £5m of it on children's services. This comes on top of a £5.2m overspend the year before, meaning more changes to frontline services in the coming months. A true-blue Conservative heartland and the local council of key cabinet ministers, Surrey has repeatedly used one-off measures over recent years to balance the budget - something its latest accounts warn is "not repeatable". It threatened to hold a referendum on raising council tax by 15% such were its budgetary pressures, only to row back at the last moment. As a pre-emptive measure to avoid running into reserves, unitary authority Torbay has introduced a spending moratorium, effectively outlawing non-urgent purchases - a measure that could mean the cancellation of next year's Torbay Air Show. The council's chief executive Steve Parrock says they have not run out of money or reserves but are facing increased demand combined with Government funding cuts. Leader Louise Goldsmith says the council faces going the way of Northamptonshire if it doesn't balance its budget next year. To achieve this, one of the measures the council is considering is to cut its £6m housing support budget. This has led to criticism from charities and local MPs, who say rough sleepers will be pushed onto the streets. The 2019/20 budget is the "most challenging the council has ever faced" as it seeks to address a projected deficit of nearly £6m - an increase from the £1.4m shortfall previously predicted. Savings have yet to be identified but chiefs are blaming factors outside the council's control including nine successive years of austerity, inflation and increasing social care pressures. Over a two to three-year period up to 890 council jobs could be lost as the council considers a revamp to increase digital investment and make use of new technology such as drones. The proposal could save up to £58m over five years without cutting key services. While the council is under no immediate threat, the proposed measures represent a drastic attempt to save money without slashing frontline services. The council insists it has a good levels of reserves and no cashflow problems - and it is not in the same position as Northamptonshire County Council and others cutting key services. A new draft funding settlement for 2019/20 is due to be published in the autumn and released in 2019. For some councils, extra funds cannot come too soon. This article was based on intelligence gained from BBC political reporters around the country - the councils we listed were the ones they identified as being under pressure in their areas.